On an April evening, this fantastic piece of street art by RAE popped up across the street from the Cyclone. When we went back the next day it was gone. 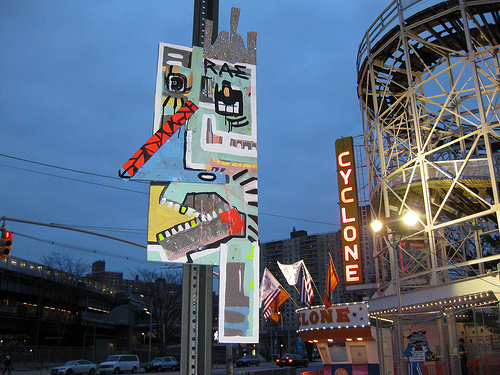 Keep an eye out for more work by RAE and friends this summer in Coney Island!